36-year-old Philip Rivers and his Chargers have not made the playoffs since 2013. Despite this drought, the team is extremely optimistic heading into 2018 following a 9-7 season and oddsmakers echo that sentiment. Playing in the very tough AFC West, Charger fans and sports bettors alike would want nothing more than to see Rivers once again will his team atop the division and into the playoffs. The Los Angeles Chargers betting odds are surprisingly rigid this season, forcing fans to put their money where their mouth is with this team. The Chargers struggled to move the ball on the ground in 2017, averaging just 3.8 yards per carry, putting them near the bottom of the league. The addition of 3-time Pro Bowler Mike Pouncey at center should help the Bolts’ running game and take some of the pressure off Rivers and his receivers. The Chargers return their 1,000-yard rushing leader from 2017 Melvin Gordon, although they are hoping he will not have such a taxing workload this season as he had to carry the ball 284 times to get there. Rivers called Keenan Allen’s number game after game last season, targeting him far more often than any other receiver and hooking up 102 times, the fourth highest total in the league. After a breakout 2016 season, former #2 wideout Tyrell Williams saw his numbers fall sharply in 2017. With the addition of Travis Benjamin and the maturation of second-year Clemson pick Mike Williams, Rivers will have plenty of other options to throw to without having to worry about involving Tyrell Williams. With zero touchdown catches last season, the Chargers are hoping that the 6’3 Mike Williams can develop into a reliable red zone threat for Rivers as Melvin Gordon was called upon to punch it in many times last season. Introducing a dual threat attack, especially with a good decision maker like Rivers, can make the Chargers’ red zone offense lethal. Each recording double-digit sack numbers in 2017, the Chargers will once again look for huge seasons out of star defensive ends Joey Bosa and Melvin Ingram. In interesting news out of Chargers camp, it appears that second-year Head Coach Anthony Lynn is entertaining the option of lining up Ingram at tight end in red zone situations to add yet another threat. The Chargers are projected to make a big leap forward this year, listed at 20-1 odds to win Super Bowl 53. Surprisingly, the Chargers are the favorites to come out on top of the stacked AFC West. 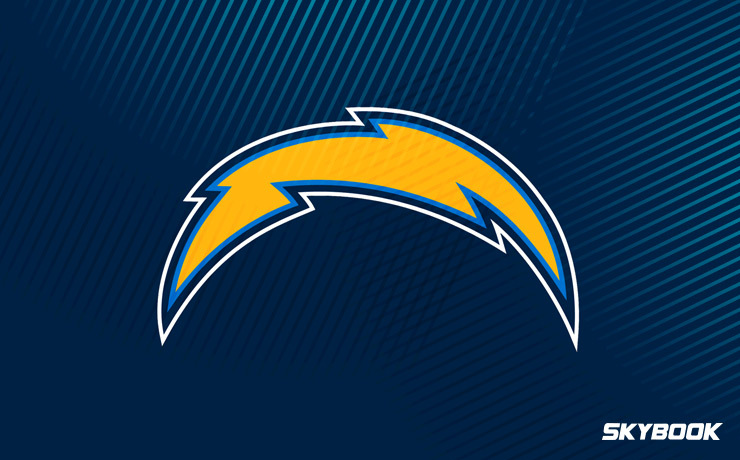 If you would like to bet on the Chargers and follow them throughout the season we will deliver you a constant flow of game analysis, matchups, and injury reports all season long right here in our secure site. Here at SkyBook, we pride ourselves on being the best NFL sportsbook for all your football betting needs. We offer the best Los Angeles Chargers betting odds along with great bonuses that you will not find elsewhere.